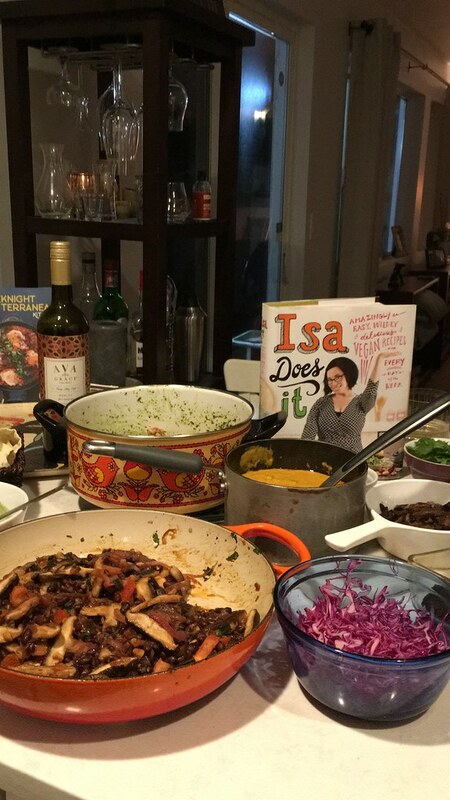 I am so thrilled to start sharing about our cookbook club meetups! So far we have done 3 all together and since it’s the beginning of the year, I figured this would be the perfect time to start chatting and blogging cookbook club. I share cookbook club on my Insta-stories and wrote a post about how to start your own cookbook club. So head over there to read all about it. It’s super chill but always delicious! My friend Caz brought this book over to our first meetup and I was instantly hooked. It’s a vegan cookbook but has so many gorgeous and inspiring recipes, I couldn’t wait to dig in! No Fancy photos here, just FYI. We were having way too much fun being hungry and cooking! Look at that spread! I made Mushroom Chipotle Tacos (pg. 113) and added Oh She glows cilantro lime cashew cream sauce, which was outstanding! My friend Lizzie made Shitake Bahn Mi (pg. 105) were was fantastic! The bread is smeared with the most delicious almond sriracha spread and the cool quick pickled radishes were insane! My friend Caz from Seasoned at Sea made Chandra Malai Kofta (pg. 216), which was actually my 1st pick but I am so glad someone decided to make it! The kofta are made from chickpeas and zucchini and then you pour over this luxurious cashew based curry sauce which I am still dreaming about! 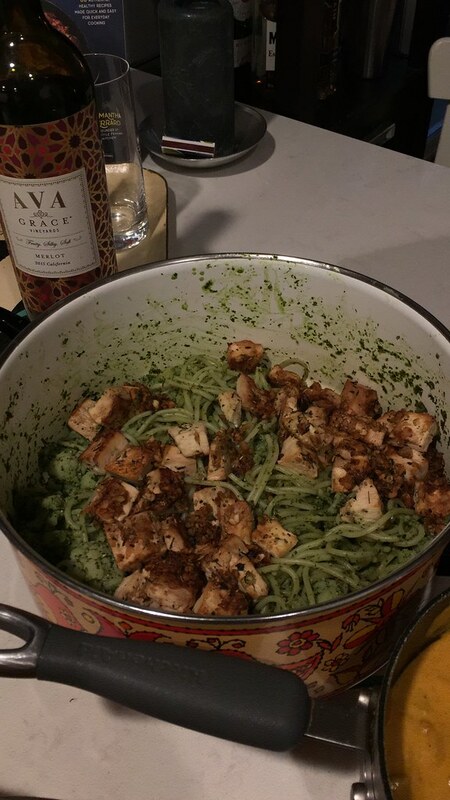 My friend Jessica made this gorgeous pesto pasta with q=cauliflower and breaded tofu (pg. 126). She used quinoa pasta which was surprisingly delicious with a nice al dente bite! And of course there had to be desert! My friend Tristen from One Armed Mama made Peach Raspberry Cobbler(pg. 298) which was the perfect sweet ending to a fabulous dinner! Next Months Cookbook Club is all about Korean food, specifically recipes from Maangchi!